One of the two most popular enchilada sauces, green chile sauce is quick and easy to make, can be whipped up in a few minutes and most of the items are probably in your pantry right now. Make it once or twice and you will be giving it your own personal touch for a signature dish. 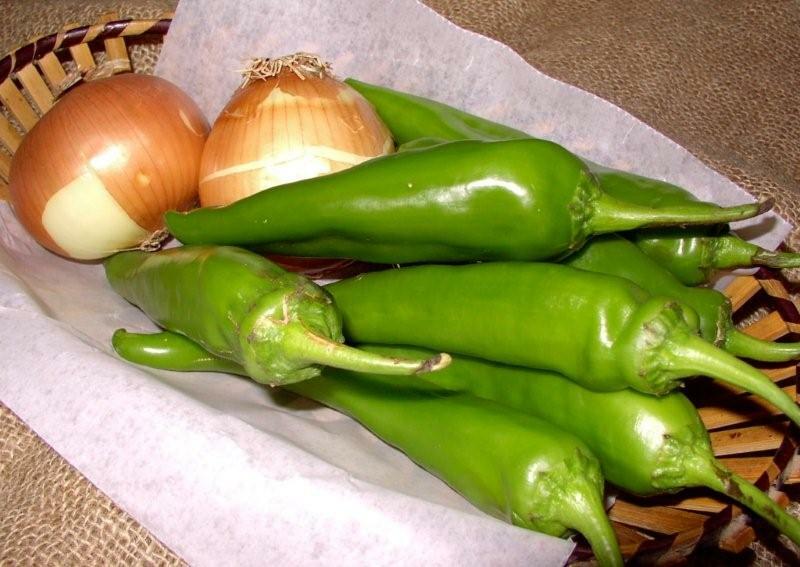 One way to dramatically improve the taste and smell of your enchiladas and to personalize your green chile enchilada sauce is by roasting your own green chiles. You will be glad you did! In water in small saucepan, add onions, garlic and jalapeño pepper. Heat over medium flame. Bring to a boil; reduce heat and add pepper and hot sauce. Simmer 5 minutes; remove from heat. In blender, puree vegetables. Add green chilies and puree. Add all remaining ingredients and process to blend. Return to saucepan. Heat to boiling; reduce heat and simmer until desired consistency. * Pat's Special Blend Hot Sauce is a family recipe of my sister, Pattie Sue Knapp. It is a very hot and flavorful sauce. You may substitute 1 teaspoon or more of Tabasco® Sauce. Individual chili peppers are wildly variable in pungency. I seed and devein the jalapeño to make an even starting point. Then I use the hot sauce, a known entity, to control the pungency and adjust to the palate of my guests. It is more controllable and consistent that way. The tomatillo is kind of like cilantro - you either like it or you don’t. Many green chili sauces include the tomatillo. For awhile I used it in my sauce but decided that it was better without. I listed it her in case you prefer sauces with tomatillo - you can pretty much add or omit the tomatillo in this recipe without changing the other ingredients.